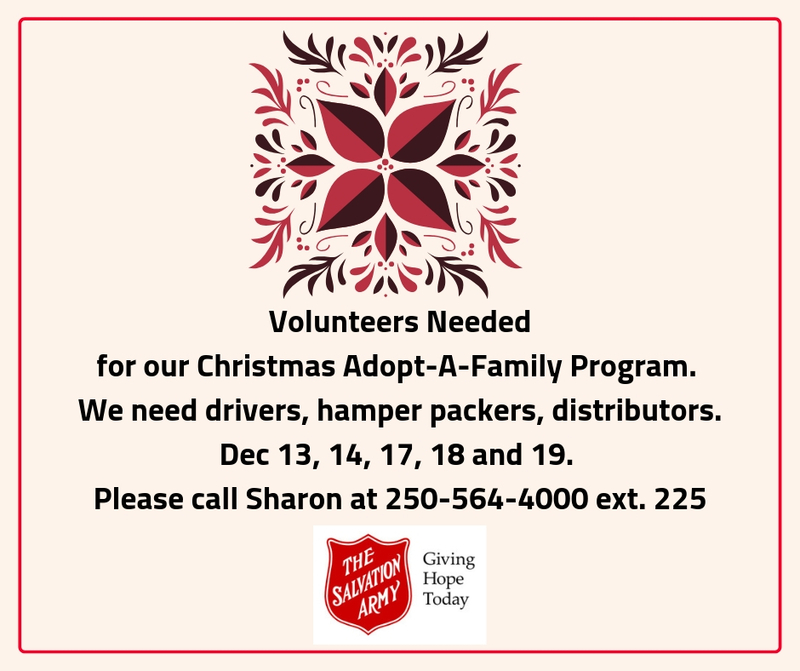 Volunteers are needed for our Adopt-A-Family program. We need drivers, hamper packers, distributors. December 13, 14, 17, 18 and 19.